Saturdays are much more fun when we've got things planned. Otherwise we just clean the animal cages and the apartment and spend the rest of the day vegging on the couch watching movies and TV. But today we got off our lazy derrieres and had "The Time of Our Lives". First we headed up to Salt Lake to climb Ensign Peak. It's not a very strenuous hike at all, which Chris was very happy about. The wildflowers were a bloomin'. Can't go more than a few days without one of these to add to our collection! The view from the top of Ensign Peak is pretty spectacular. Some nice girls offered to take our picture. 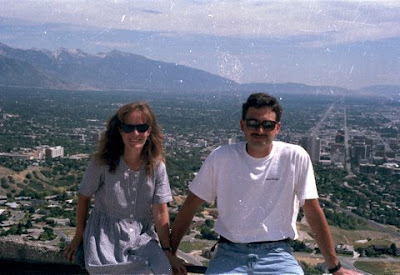 Edited to add: Check it out - my Malm and Dald also at Ensign Peak, over 20 years ago. Not much has changed. This is the monument that stands atop the peak. 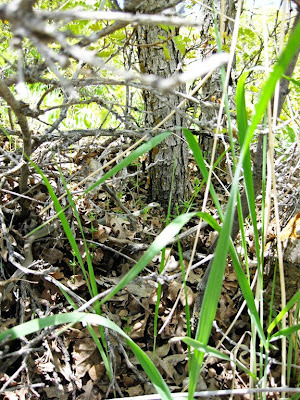 On the way back down I heard a rustling in the shrubbery and saw a snake. See if you can see it. Here's a close up of the above picture. 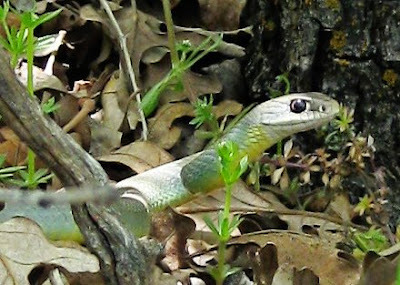 Ssssssss. I got burned again. These ones are for you Allie. I liked these skeletal looking trees. We passed the capitol building on our drive back down the mountain. Some scenic and random shots from downtown SLC and Trolley Square. Cool art made from cardboard tubes. After we shopped around at Trolley Square we were craving some brownie sundaes so we headed to Squirrel Brothers. Only problem? It's been turned into a Jimmy John's sandwich shop. Why they didn't just take down the twirling ice cream cone is a mystery to me. Instead they painted it black to match the building color scheme. But it still twirls around and around... RIP Squirrel Brothers. You were good while you lasted. AND THEN... we did some touristing. 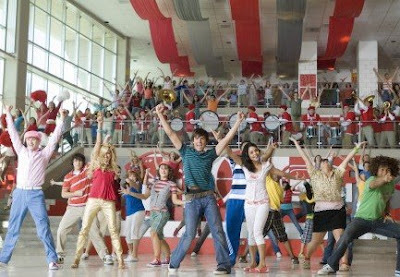 The High School Musical movies were all filmed at East High in Salt Lake. They didn't even change the name of the school for the movie. East High is East High. Their mascot is the leopard - close enough to a Wildcat right? In the movie their rival is West High which is also true to real life. One of my cousins went to West and her sister went to East. Their little brother, also my cousin, obviously, is currently attending East High. Initially we were just going to take pictures of the outside and skedaddle, but we tried one of the front doors and lo and behold it was opened. Scha-weet! Rockin' my Sharpay Evans skills. Paige Evans. Sharpay Evans. Same thing. Well. 50% same thing. The one and only round tables they sing and dance on. We weren't the only ones touring the school. We ran into some girls who hailed from Orem running around taking pictures. It still felt weird to be in a desserted high school. The view from the west side is quite scenic. Gotta love the front displays. Of course we wanted to see the gym, but the doors were locked. As we were trying to break into the gym, someone came over the PA and said they were turning on the alarm in five minutes. So we left. And you know what? We didn't even think to see if we could get into the theater! What were we thinking. I'll just have to give my camera to my cousin and have him get me some shots. So follow up post to come. We're actually heading back up to Salt Lake again tomorrow to see my uncle ordained a bishop. oh goodness Paige I laughed so hard when I saw those pictures of you dedicated to me! They look cool to me! p.s. .... you might have to take me there when I come! 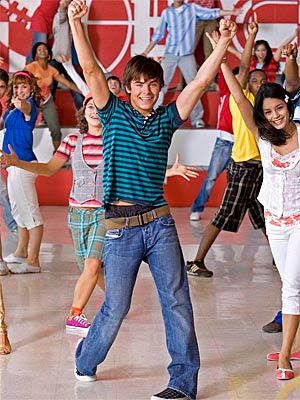 I am insanely jealous you were inside the hallowed walls of East High! Your pics were fabulous, you lucky devil.